It's time for this year's Rotary Celebration of Spring. 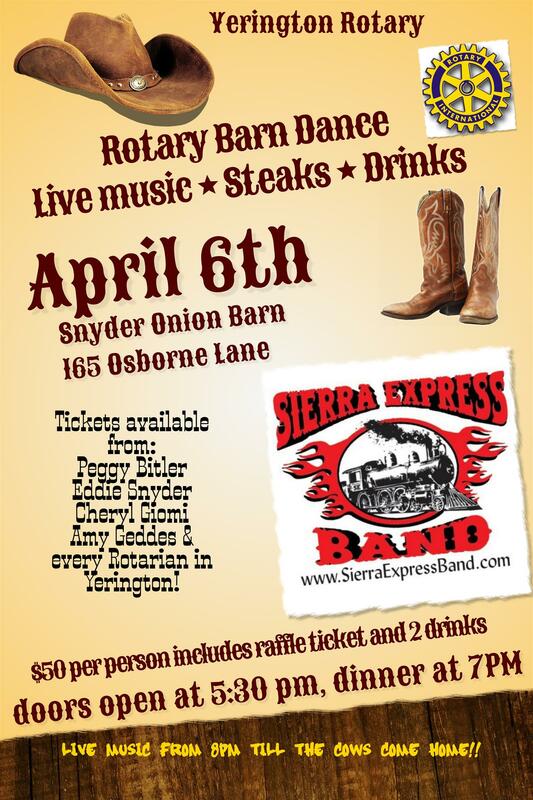 Saturday April 6, 2019 at our favorite party location: Snyder's Onion Barn. Steak dinner and live music combine for a great evening of enjoyment. See details below.